Mark of the Thief (Mark of the Thief, 1) by Jennifer A. Nielsen, February 24, 2015. 352 pages. Published by Scholastic. Source: Publisher. When Nic, a slave in the mines outside of Rome, is forced to enter a sealed cavern containing the lost treasures of Julius Caesar, he finds much more than gold and gemstones: He discovers an ancient bulla, an amulet that belonged to the great Caesar and is filled with a magic once reserved for the Gods -- magic some Romans would kill for. In Rome, nothing mattered more than the gods, and nothing mattered less than its slaves. Ah, yet another book that I meant to read...when it first came out (years ago). Somehow, it ended up on the bottom of one the "already read" stacks in my room. Which would explain why I couldn't find it till I was weeding through my books. I'll admit it, I was a little nervous about reading Mark of the Thief because of how much I enjoyed reading the Ascendence trilogy. While I enjoyed this one, it was not as captivating as the previous trilogy that I read by her. Though still good in its own right. Let's see why. I found Nic to be quite an interesting and strong character. While most people would find him somewhat weak, considering his strong will. Even though he was a slave working the mines, he kept sight of his worth as a human; sure he had to make concessions in order to survive, but throughout the book, there were so many times where could have just given up completely yet didn't. There were, for me at least, many reasons to have enjoyed reading about Nic's story even if at times it paralleled, in some aspects, that of the main character from her previous series. Because even though there were similarities, things were also quite different from one series to the next. As a reader who enjoys history, it was very refreshing to have the story take place in Ancient Rome rather than another book set in Greece. Yes, I really enjoyed the setting and how well she used it witin the plot, so, I'll spare you my ramblings about that. While it took me a couple chapters to really get into the story, I was again impressed with Jennifer Nielsen's ability to weave such a fascinating tale. One that blended history with a touch of magic. Final Verdict: Mark of the Thief- It was definitely a good book, one I probably would have enjoyed (or ranked higher) had I read it in a shorte amount of time. It was a solid start to the series and one taht I'm looking forward to continuing when time permits. A copy of this book was received from the publisher for review consideration. All thoughts are my own. I Want to Read It, a hybrid between WLW (or WOW) and what's on my to-be-read pile. 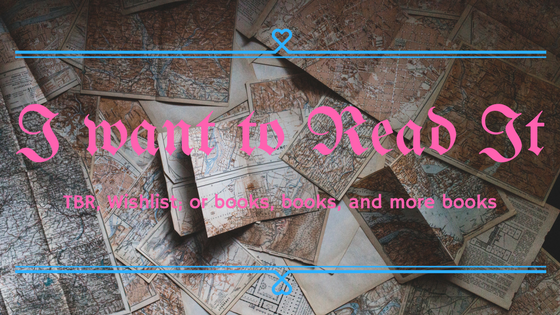 Well, instead of focusing just on books I would like to acquire, I will be using it to feature books that I just want to read. From the ones, I want to buy to the one's sitting on my TBR at home. 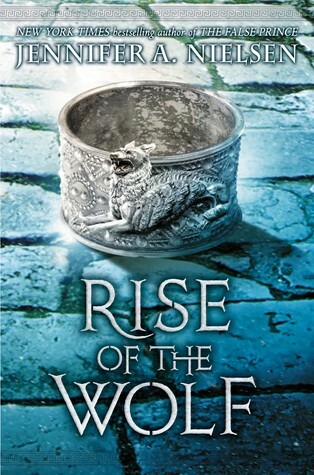 Rise of the Wolf (Mark of the Thief, 2) by Jennifer A. Nielsen, January 26, 2016. Published by Scholastic. A powerful amulet. A vengeful goddess. A deadly quest. Nic may have escaped enslavement in the mines outside of Rome, but his troubles are far from over. The Praetor War—the battle to destroy Rome from within—is in full force, and Nic is caught in the crossfire. The secretive Praetors are determined to unlock a powerful amulet—one sure to bring the empire to its knees. Worse, the Praetors believe Nic holds the key to finding this amulet, and they will stop at nothing to steal it, even if that means harming the people Nic holds most dear. 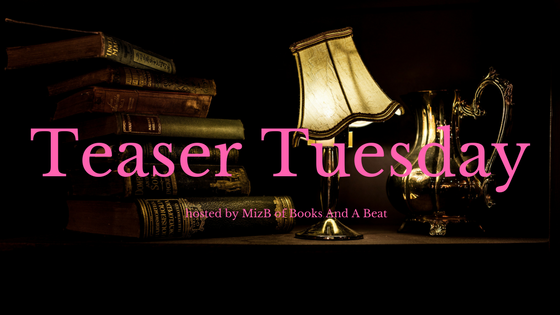 When the Praetors capture Nic’s mother, Nic knows he must do anything to save her. He challenges the Praetors to a chariot race. If he wins, they will release his mother. But if he loses, he must hand over a magic that will certainly destroy Rome and end his own life. Can Nic once again harness his magic and gather the strength to defeat his enemies? Or will he lose his mother and bear witness to Rome’s destruction? Yes, I am way behind on Jennifer A. Nielsen's Mark of the Thief series (like years behind), but after recently finishing the first book, I know that I need to see how it'll all play out for Nic. He's going to be in for some rough times, I can just tell based on what he went through in book one alone. 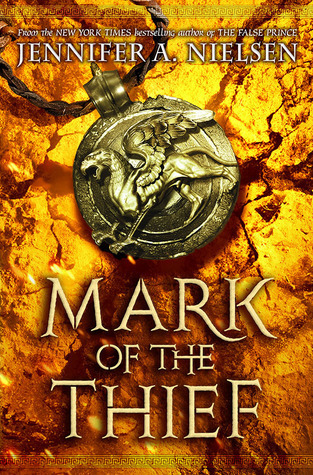 Have you read Mark of the Thief? 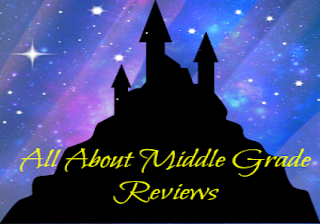 If not, or if you're curious as to what I thought of it, you can check out my review! Oftentimes, while I'm reading a song will pop into my head because the book makes me think of it; sometimes the reverse happens and a random song will make me think of a book I have read. 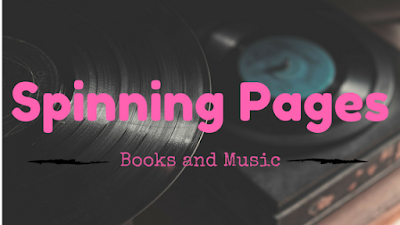 Spinning Pages is a combination of my love for books and music. More often than not, the inspiration for these posts strikes while I have music thumping in my ears while exercising (kind of like how this feature came to be). 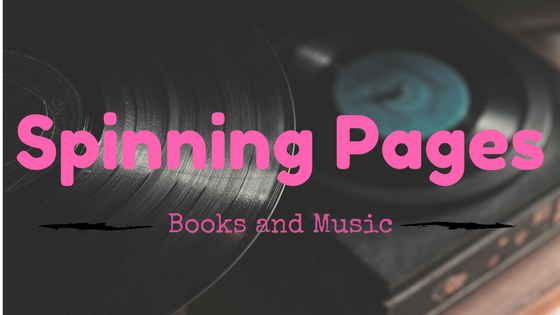 This week on Spinning Pages takes up to New York City where Stick Cat and Edith go on grand, yet terrifying, adventures all before their respective owners return home at the end of the day. Keep reading to see this week's song and lyric selection that will be going with Cats in the City by Tom Watson. How could I possibly resist using a song titles "Cat" for a book about cats! The answer is, I couldn't. I went through quite a few songs trying to find one that had lyrics that reminded me of the book. It wasn't easy, but, the ones above made me think of both Stick Cat and Edith and their adventures. 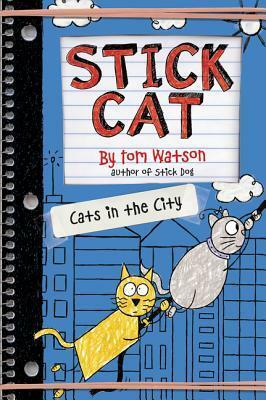 For the curious, you can see my full thoughts on A Tail of Two Cats and Cats in the City by checking out my reviews for the first two books in Tom Watson's Stick Cat series. don't forget, you can listen to APink's Cat below! Hopefully, you'll enjoy this fun sounding song...be careful though, as you may just find it stuck in your head.